This is ultimately the closest you will get to grind a lot of weed in a short time. The other methods might not support as much weed as the coffee grinder (click to see best price on Amazon). 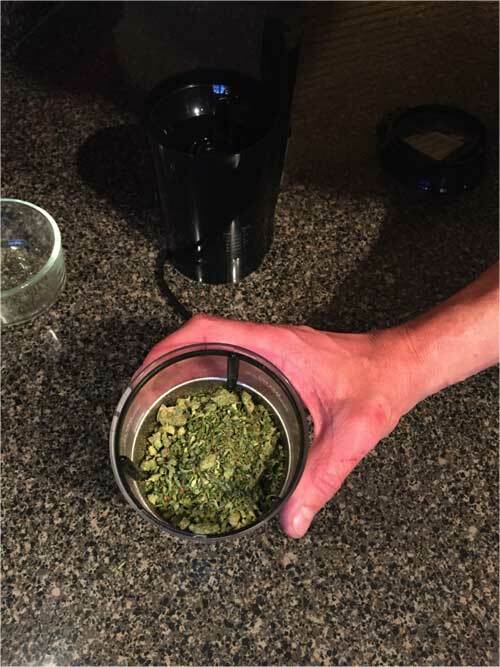 Clean your weed well and pour it into the coffee grinder. Turn it on and let it run for several minutes while keeping an eye on the weed. You do not want it to be too fine that it forms a powder. Just run the coffee grinder long enough to achieve a perfect form for rolling it up. Once you are done, clean up your coffee grinder thoroughly before grinding some coffee later on. This method could be labeled as the best to use by people who need to grind some small portions of weed effectively. 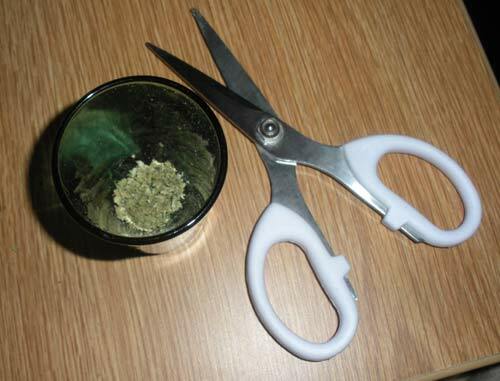 A pair of scissors is important for snipping the weed buds into smaller pieces. Place the weed into the glass and start snipping. Try to ensure that you snip to get the smallest size as much as possible. For additional grinding, now place the weed under the shot glass and start crushing it manually. You can keep on crushing the weed until you get finer weed at the end. With this method, cleaning up should not be a problem once you are done crushing the weed. 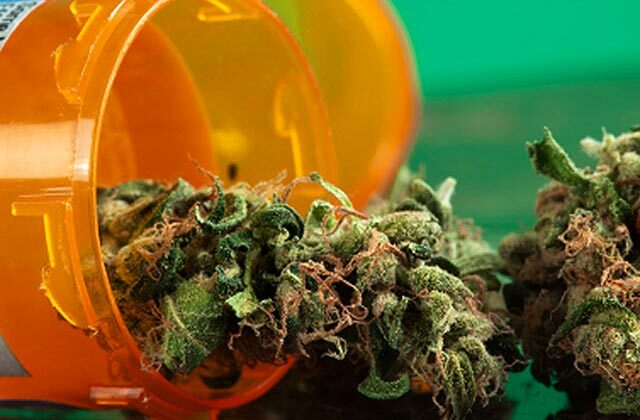 You will be surprised by such methods that will get your weed crushed. You have to find a clean pill bottle to use as your grinder. Put a weed bud into the bottle, and in a coin then seal it. Now, it is time to shake. You have to keep on shaking for some time before you get the desired results. It is an effective method for grinding weed, only that it can take more effort and time to get the job done right. If you are good with knives in the kitchen, then your skills are about to be put into another great use. 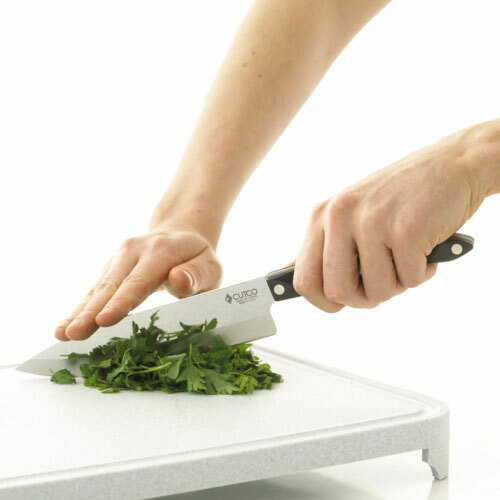 Grinding the weed with a knife (see best price on Amazon) is just like cutting salad on the same chopping board. Place your weed on the chopping board and start the job. Cut the weed into small pieces as much as possible. Make sure to use a non-serrated knife to get the job done faster. This method is suitable for grinding small amounts of weed regularly. This method should only be used when you are out of options, since the other methods are more practical. Also, this method would be effective if the weed is completely dry. You might just end up mashing or squeezing the weed together, rather than grinding it. 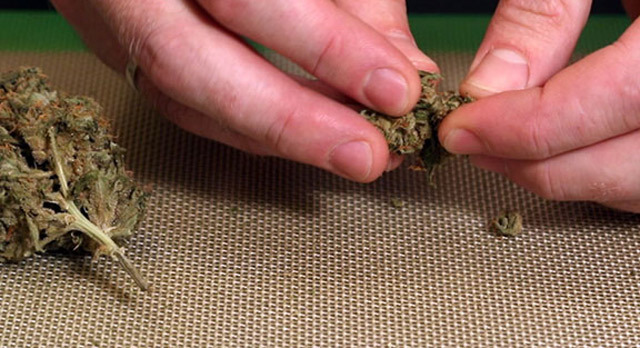 Roll the weed in a paper and start crushing with your fingers. Rolling it in a paper is meant to reduce the amount of mess and spillage of the weed once it is crushed. It is still possible to find other methods from other places around the web, you just have to know where to look. It is advisable to check out the forums or hack sites. Forums are likely to have many people who love weed and would share their grinding methods. Some methods would be fun, while others are just impossible. You can choose a method based on the type supplies around you. The hack sites are also known for helping people accomplish some things on their own without using a predefined method. Be sure to find some weed grinding methods that do not necessarily involve a manufactured grinder. All the mentioned methods above on how to grind weed without a grinder need more manual work to make it happen. It will not be easy to grind a lot of weed in a short time with these alternative methods. For those who would love to grind weed regularly, it is better to get yourself a grinder.